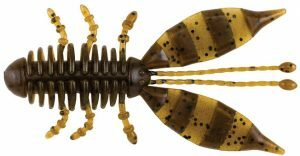 The Berkley Powerbait Jester Craw is not a “me-too” bait, and it doesn’t look like anything else I’ve ever fished. It’s listed at 4 inches but really fishes much bigger than that. The body is ribbed and fat. There are three feet-like looking things on each side of it and it has two big flappers as well as two long, skinny tentacles coming off the back. It’ll be offered in at least eight colors, some of which are striped. And, it’s loaded with scent so it smells to high heavens. If you want to truly appreciate how big, bad and ugly this thing is, check out the photos. Look carefully. You don’t want to miss anything. I’ve fished this bait and I can tell you that it works. Maybe the first reason for that is because bass have never seen anything like it. I guarantee you it’ll be a while before any of them become conditioned to it. The other thing is that it can be customized easily to look different each time you fish it. Pinch off the legs, flappers or tentacles in various combinations and you have a completely new bait. At the same time you’re customizing it — and I’m not saying you need to do that because it works great right out of the package, as is — you can fish it just about any way you can dream about. The Jester works great as a jig trailer like was first thought about, or rigged Texas style, or on a Carolina rig or even with a shaky head if that’s your thing. 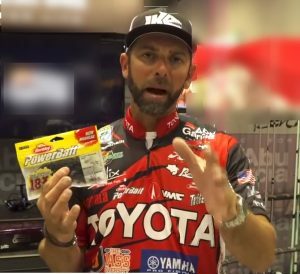 The reason I’m devoting a whole blog to this one plastic lure is because this is really one of the great innovations of 2018. Let’s be honest. There aren’t many new plastic lures that come along. Most of them are pretty much like existing ones except for a few modifications or changes that are hard to detect. I’m not saying they don’t work. I am saying they’re pretty much alike. This one is different, and it deserves a place in your tackle box. It’ll be available in September but you can pre-order it right now. I’d take advantage of that. My best guess is they’ll sell out pretty quick. 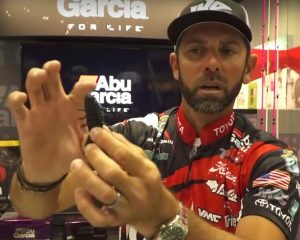 Click to hear what Mike said about the Berkley Powerbait Jester Craw.